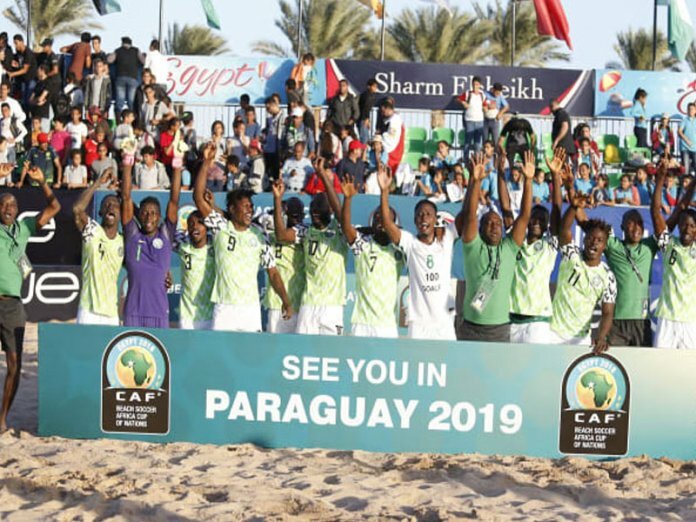 Nigeria became the first country to book a place at the FIFA Beach Soccer World Cup Paraguay 2019 on Wednesday afternoon after defeating Egypt 7-6 in the first semi final of the ongoing CAF Beach Soccer Africa Cup of Nations 2019 in Sharm El Sheikh, Egypt. The sweet victory by the Supersand Eagles qualifies Nigeria as one of the two teams to represent Africa at the global stage in Paraguay next year. Wednesday afternoon was indeed memorable for Abu Azeez. He did not only net four goals in Nigeria’s 7-6 victory against Egypt, but also because he scored his 100th goal for Nigeria in the process. Azeez’s total haul now stands at 103. The veteran Abu Azeez, who opened his goals tally of the tournament with a brace against Libya on Sunday, scored one of Nigeria’s four goals against Libya to take his tournament tally to three – same as Emeka Ogbonna before adding the four goals yesterday. Azeez is going into the final with seven goals to his credit. In their first match of the tournament, the Supersand Eagles tied 4-4 with Senegal in regulation and extra time, before losing 0-2 on penalty shoot-out to the four-time African champions. The second and final qualification place for Africa will be decided today when Senegal and Morocco contest the other semi-final. Speaking shortly after defeating Egypt, coach of the Supersand Eagles, Audu Ejo Adamu declared that the target of his team is the trophy, and not just the ticket to the FIFA World Cup. “We came here to go all the way, by qualifying for the World Cup and winning the Africa Cup. We have achieved one of our objectives; the other is pending on Friday. “I am happy that these boys did the nation proud by staying calm and then going hard when necessary to get the World Cup ticket. “Now that we have qualified for the World Cup, we will be relaxed to play the final with huge confidence,”Adamu stressed. 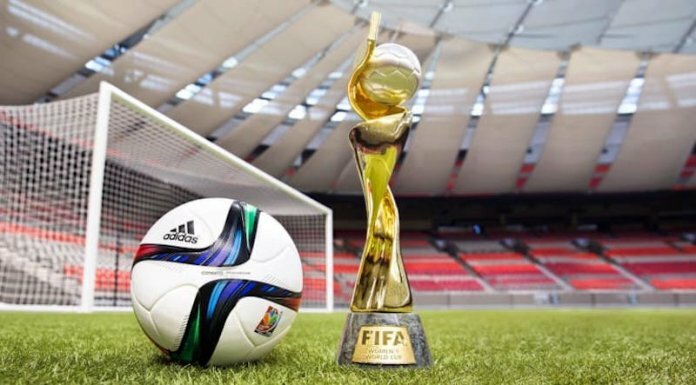 Victory for the Supersand Eagles on Friday would mean a second AFCON trophy for Nigeria within 13 days, following the Super Falcons’ success at the Women AFCON championship in Ghana. Supersand Eagles’ qualification for Paraguay 2019 will be Nigeria’s sixth Beach Soccer World Cup participation. In their previous appearance at Bahamas 2017, they failed to progress past the group stage.